Isn't it exciting to think about what could be next on your tech shopping list? But it can be tricky when you have things like a budget and indecisiveness getting in the way. So we're here to help. 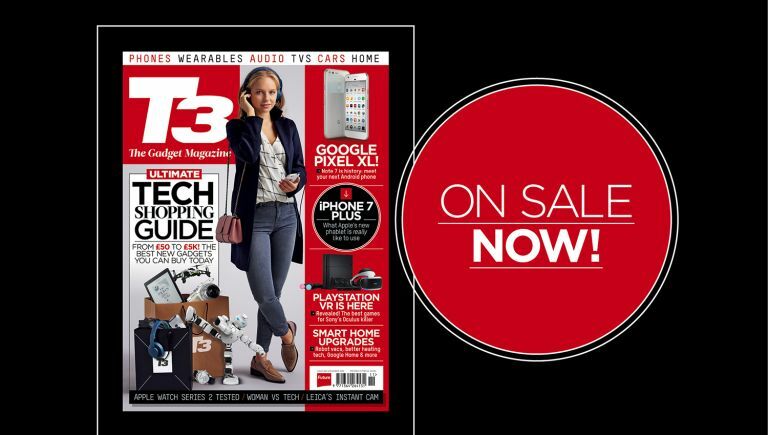 In typical T3 fashion, in issue 262, on sale now, we've put together the ultimate list of kit to satisfy the hole that's burning in your pocket (and no, we don't mean the Galaxy Note 7). So, whether your budget is £50 or £5k, we've got a gadget for you. In Man vs Tech – or should we say 'Woman vs Tech' – our seasoned MMA fighter sees if the latest boxing and training tech can add power to her punch. We join her as she's just weeks away from a fight – will our tech prove a knockout? Find out in the issue! We've also given our final verdict on the iPhone 7 Plus. You may have read reviews online, but we've been testing this for a long time now and we reveal what Apple's phablet is really like to use. Oh, and we've also checked out Apple Watch Series 2 – it's a great update to the best smartwatch out there.